Blue Ridge Surveillance provides custom security solutions to the Blue Ridge, GA region. We work one-on-one with all of our clients to identify their unique security needs and offer the most technologically-advanced solutions within your budget. Locally-grown in Blue Ridge, GA, we are proud to provide security solutions to the Blue Ridge community. We live and work here, so we understand the needs of our clients better than anyone. "They were very professional and efficient." "I recently hired Britton and his company to install an updated surveillance system at my store. Britton and his team did an exceptional job. I would highly recommend Blue Ridge Surveillance." - Donna W.
We work hard to establish relationships with the Blue Ridge, GA community. When we get a referral from a customer, it means everything to us. As a way to give back to those who have helped us build our company, we’ll thank you with a free security camera when you refer a friend. "Britton Quintrell, owner and entrepreneur of Blue Ridge Surveillance, LLC is our choice when it comes to surveillance needs. Britton offers well-rounded knowledge of equipment, offers options to meet budget needs, and provides excellent service and installation. In addition, Britton’s troubleshooting skills are exceptional. When dealing with Britton you will find a conscientious individual who is dedicated to his business and in meeting client’s expectations." 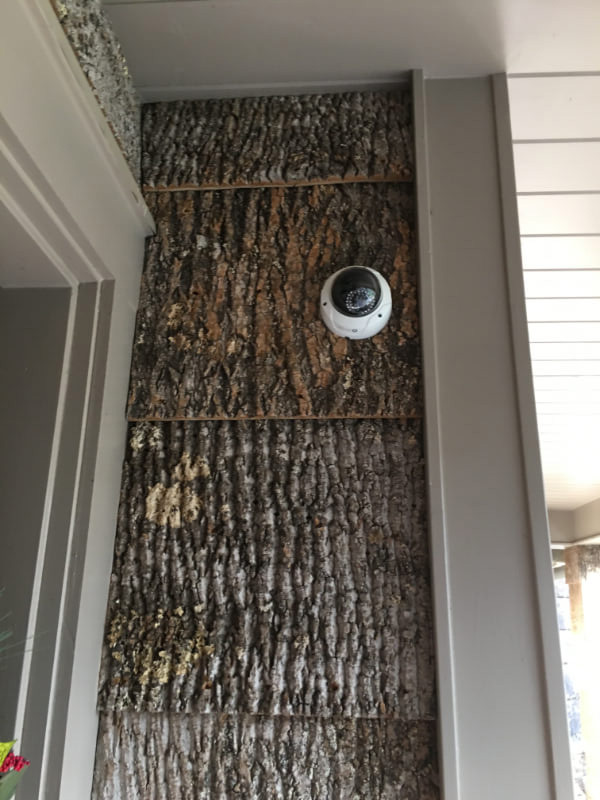 "We just had a home surveillance system installed by Blue Ridge Surveillance, LLC and I'm very happy with the job Britton did. He came over to give me an estimate on installing a surveillance system I bought at a big box store. I started reading about the system I purchased and realized it was a very low rated system. Britton showed me the camera systems he was selling that were far superior in quality and performance. 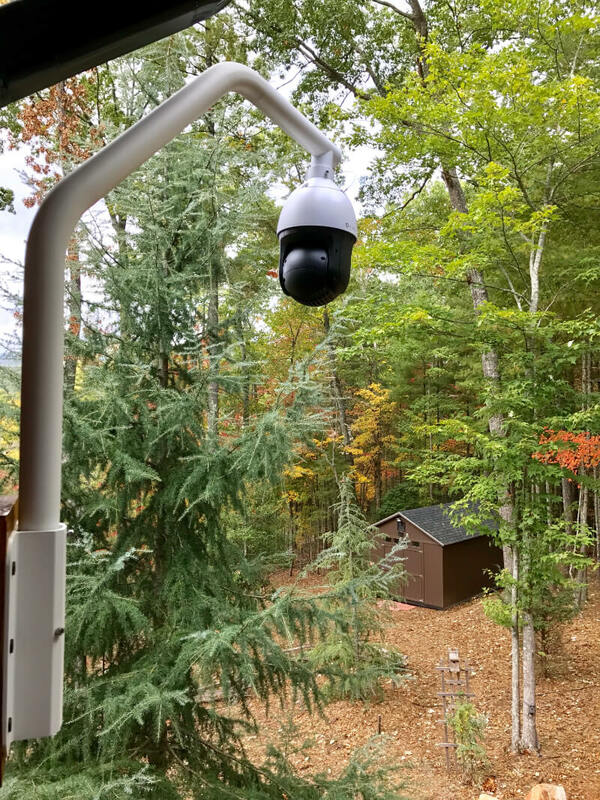 If you're looking to keep your property and home safe while your away, don't look any further than ALIBI cameras sold by Blue Ridge Surveillance." "It was such a pleasure working with Britton Quintrell and his team at Blue Ridge Surveillance, LLC. I recently hired Britton and his company to install an updated surveillance system at my store. Britton and his team did an exceptional job. I would highly recommend Blue Ridge Surveillance. They were very professional and efficient." "Blue Ridge Surveillance, LLC was highly recommended to me by several sources and after several years of a failed system, I was game. BRS was very timely and accountable. Our system was put in and up and running in a weekend- clean as a whistle. My husband who is an aerospace engineer and physician was so impressed with Britton; his problem-solving skills and his way of thinking through our complexities with wiring the house. Contact Britton and you will be pleased." We provide the best in class security systems at extremely competitive pricing. No matter your budget, we’ll find the security solution that works for you! We go the extra mile for our clients. Our expert security professionals will happily work as long as necessary to make sure the job is done right. Based in Blue Ridge, GA, we’re right down the street when you need us. We are not just the Blue Ridge security experts, but we are your friends and neighbors. There aren’t many companies out there where the owner supports the install. However, at Blue Ridge Surveillance, our owner Britton comes out to every site to make sure you are fully satisfied. Not only will having a custom-tailored security solution help you have peace of mind, but all of the products we use are high-quality, reliable, and durable. If you are considering a security system for your business or home, give us a call today. Our knowledgeable and friendly team of security experts will answer all your questions. We’ll also help you identify security vulnerabilities and provide you with a variety of custom solutions to meet your every need. We offer free estimates to help you find the system that provides you the most security for least amount of money. We offer the most competitive and flexible pricing in the industry to find solutions that fit both your needs and your budget. Let us find the right security solution for you. We pride ourselves on providing professional and timely service. We know when you have a security concern, it can’t wait until tomorrow. We’ll come out when you need us. Once you’ve decided to work with us, we’ll send our professional installers that day to get your system up and running. We offer comprehensive security service agreements. We use the highest quality products to ensure that your system works when you need it most. However, if you ever have any issues or concerns, we’ll be there. We take great pride in our quality at Blue Ridge Surveillance, so service is our number one priority. "I have always had a huge heart for kids, especially those less fortunate. 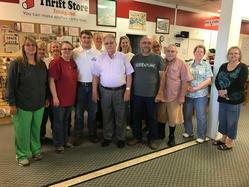 Fannin County is lucky enough to have an Empty Stocking Program, which manages a thrift store and hosts multiple events throughout the year to help these children have a Merry Christmas. In August of 2017, a subject made his way to the back door of the store and vandalized an existing security camera before stealing multiple valuable donations. After receiving a call from FCESP volunteer Kevin Cochran, we immediately sprung into action. We treated this project just as we do every other, starting with a free needs assessment and site evaluation. 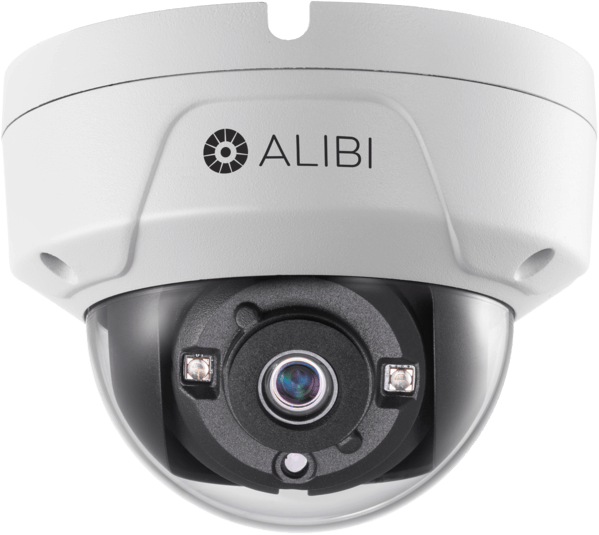 After our evaluation, we decided to implement an eight channel Alibi network video recorder along with eight IP dome cameras. 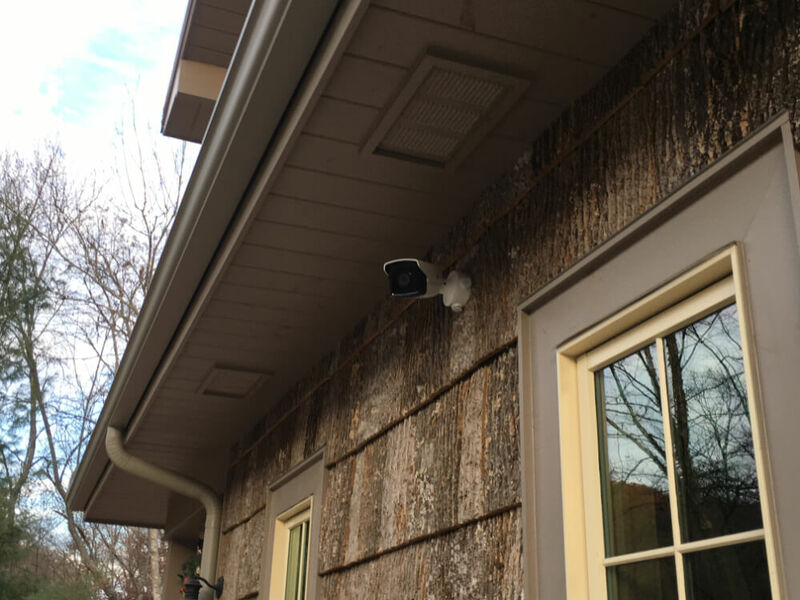 Blue Ridge Surveillance installed the system free of charge and sold the equipment to the non-profit at our dealer price." 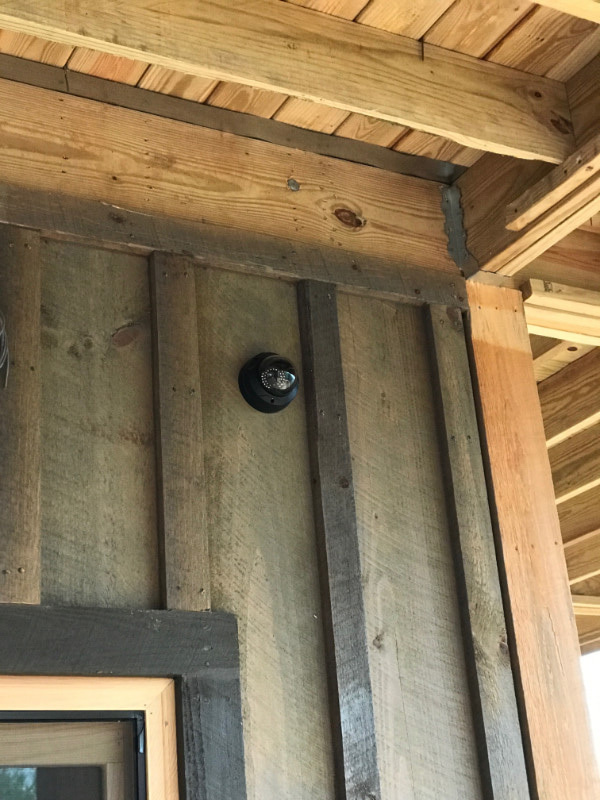 The Fannin County Empty Stocking Program received a new camera system from Blue Ridge Surveillance, LLC, after the old system was vandalized recently. Britton Quintrell donated his time and installed the new system free of charge. Blue Ridge Surveillance offers a monthly service contract at the low price of $10 per camera. When you sign up for our monthly service contract, you can rest easy knowing that we are there for you whenever you need us. We are dedicated to protecting your business or home and will monitor your system and identify any areas of concern before they become problems. Call us today to learn more about how our affordable monthly service contract can offer you even more protection.